On June 22nd, our sales manager received the clients from India to visit the biomass carbonization plant on site. 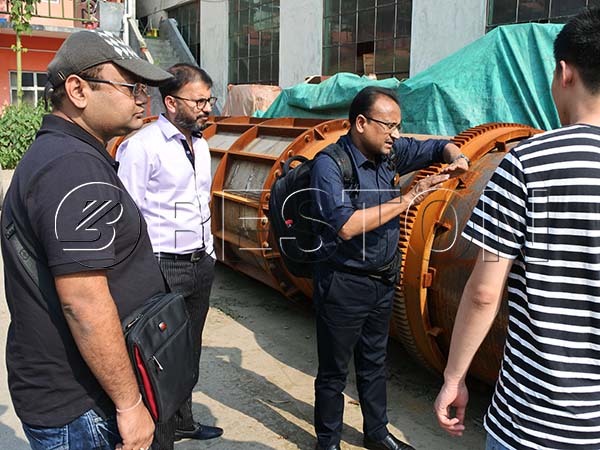 The customers had learned that Beston Machinery has the machines to process biomass into charcoal before and asked to check the production line. 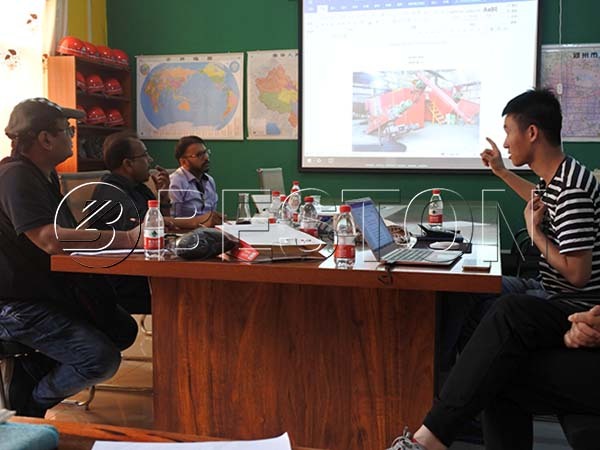 In the factory, our sales manager introduced the working process in details to help customers understand the equipment better. After that, he also showed customers with the output ratio of end products, the fuel consumption, etc. to analyze the feasibility of this project. Then they checked the carbonization production line on site. 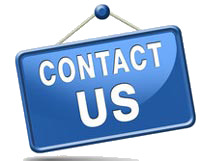 Our customers were very satisfied with our professional knowledge and sincere service. Meanwhile, both of us believe there will be a great market in India. At the end of this visit, we also provide our customer with check samples. Hopefully, they can know the local market soon and make this business plan come true. Carbonization plant recycles biomass waste into charcoal, tar and wood vinegar, which are in great demand. Besides, there are rich and cheap raw materials, such as straw, bamboo, rice husk, wood chips, sawdust, palm shell, coconut shell, etc. Obviously, this is an eco-friendly business plan. To sum up, the low raw material costs and wide application makes the carbonization plant affordable and profitable. Moreover, Beston has developed patent technology in this industry. For example, our biochar production equipment employs the special double-layer design, which can make full use of the heat inside. Meanwhile, it can prolong the service life of the carbonizer. Thus, to invest a Beston charcoal carbonization machine will save your investment costs. Except for the high-quality products, Beston can also supply you full service, including the customized business plan, the feasibility report, installation, warranty, etc. All in all, you will enjoy partnering with Beston Machinery. Why the Biomass Carbon is Popular?